We were based in a lovely Airbnb house near Saint-Léon-sur-Vézère, not far from the town of Sarlat, in the heart of the Périgord Noir. Our host welcomed us warmly with an ‘aperitif’ outside, a chat and some tips on places to go in the area. The quirkiest thing was this sculpture of a red horse in front of it (not sure how good it would look in front of my terraced house in SE London!). It was last summer when we had that heat wave everywhere in Europe. And oh Lord, it was hot in Dordogne. Luckily, the region is full of rivers with fresh water surrounded by shaded trees. Saint-Léon-sur-Vézère is a quintessentially cute village by the river Vézère. On our first night, we went for a meal at ‘Le Déjeuner sur l’herbe’, a simple but tasty cafe/restaurant by the river: you order inside, and they later call your name so you collect your tray with your meal. Sit at one of the tables by the water’s edge and enjoy! It feels like being in a 1960s French film. Proper old-school. The Dordogne region is famous for its prehistoric caves. We picked the most famous ones (well, a replica of it), Lascaux. What used to be a small tourist attraction back in the days has now become a huge tourist site. So, what to visit? I think it depends on the age of your children. We were with our toddler so we only visited Lascaux II, the replica of the original caves. 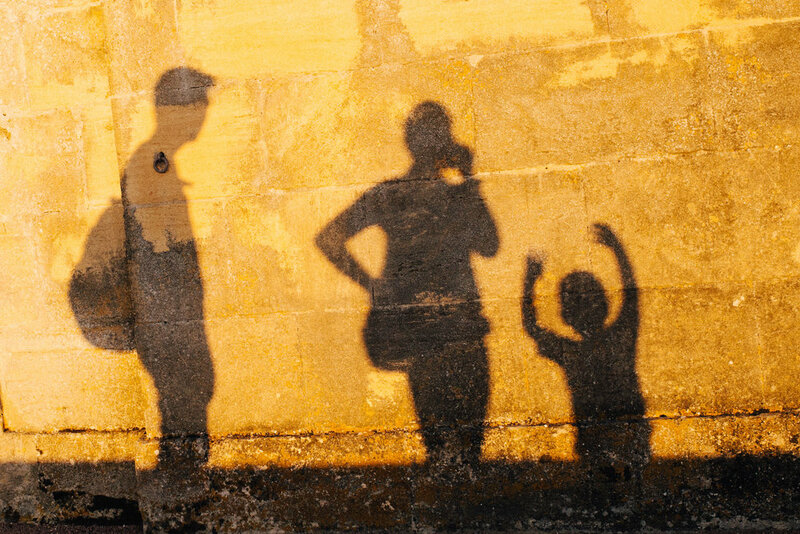 If your kids are older, it’s probably worth also visiting Lascaux IV, a more interactive experience with videos, etc… It lasts longer too so pick the one that suits your family best. We booked our tickets in advance as it was peak season. Despite being a replica, Lascaux II is pretty amazing. The guide reminded us that the people who visited the caves were people like us, more advanced that people commonly think. And those paintings are pretty striking! A must-see, in my opinion. In between visits, there was always time for some tennis at our accommodation. On a very hot day, we looked for the shade at The Conquil, a mix of woodland/park and tree climbing. I was positively surprised actually when we discovered the real-size dinosaurs spread across the woods. Great entertainment for the kids. Can you spot my little boy on the dinosaur’s tail on this picture?! There are also troglodyte caves you can check out, imagining people living them. It’s pretty simple but for an afternoon with the kids, it does a good job. We spent the evening in Sarlat - the city has been renovated so the centre looks stunning in the summer light. And it’s so lively and buzzing. 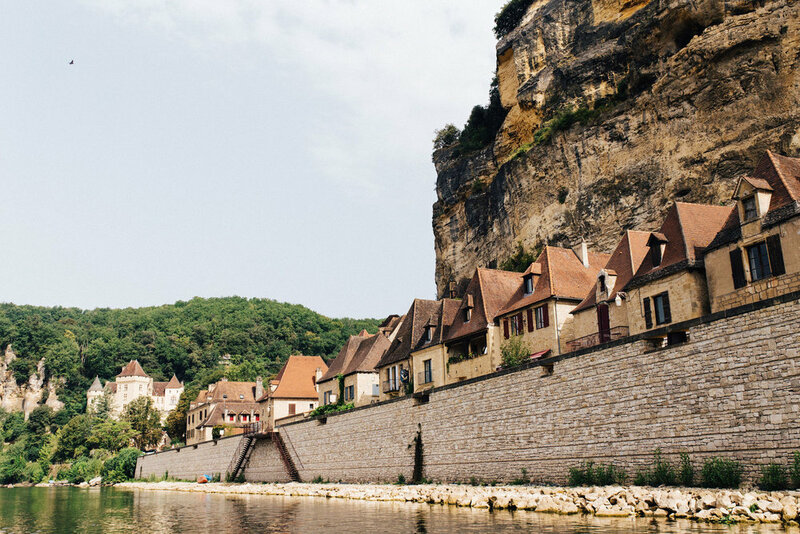 The following day we visited La Roque-Gageac, a beautiful village by the Dordogne river. We jumped on a ‘gabarre’, an 18th-century boat that used to carry food, including salt. A guide tells you some history about the boat, the village and the castles nearby. My boy was a bit bored at the end but he was only 3, that’s only fair. You’ll be impressed by the hundreds of canoes on the river in the summer. It’s insane! 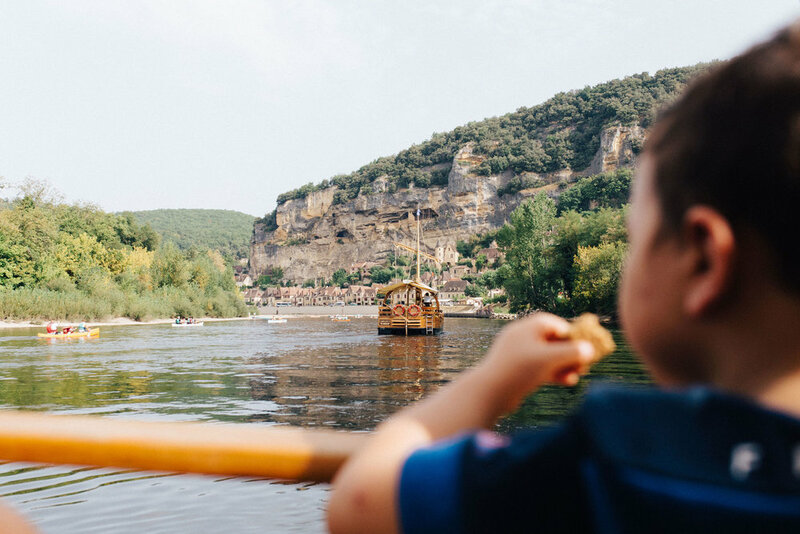 And apparently, the Dordogne river is the 2nd busiest river for canoes in France. It was a shame our son was too young to go canoeing (minimum 5 years old) but instead we went for a dip in the river. Mind the current, it’s a bit strong. My son loved ‘swimming’ underwater and being caught by his dad. I won’t lie, I was a bit anxious seeing him being carried away by the current (he does’t know how to swim!) but he was loving it and was so proud of himself. 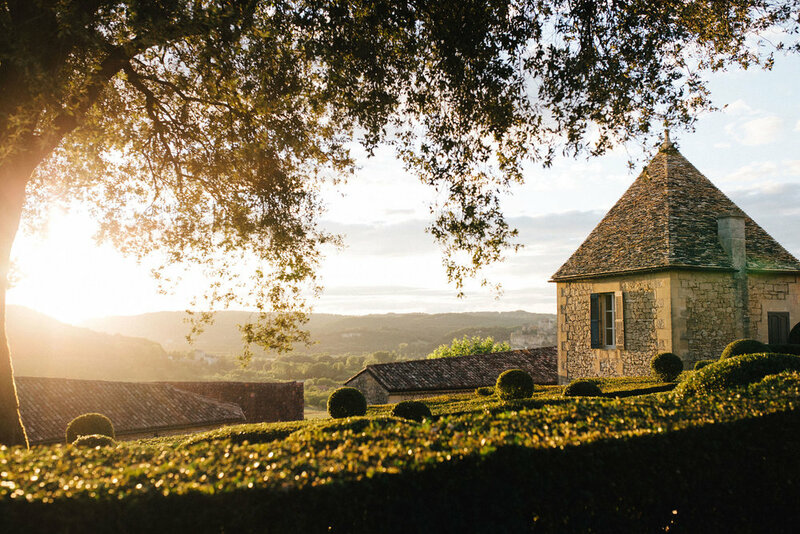 We visited Domme, another place classified as one of the most beautiful villages of France. It’s perched on a cliff overhanging the Dordogne valley. 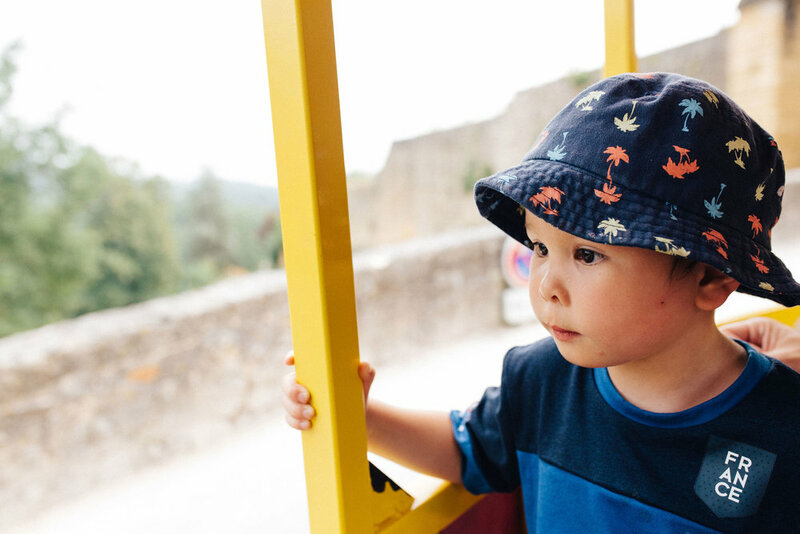 Once you’re there, jump on the train with the kids and get a bit of history (a very brief summary), watch the beautiful views, walk around the narrow streets to check out the souvenir shops, get an ice cream and go on the merry-go-round. There’s more to do but with a toddler, that’s plenty already. 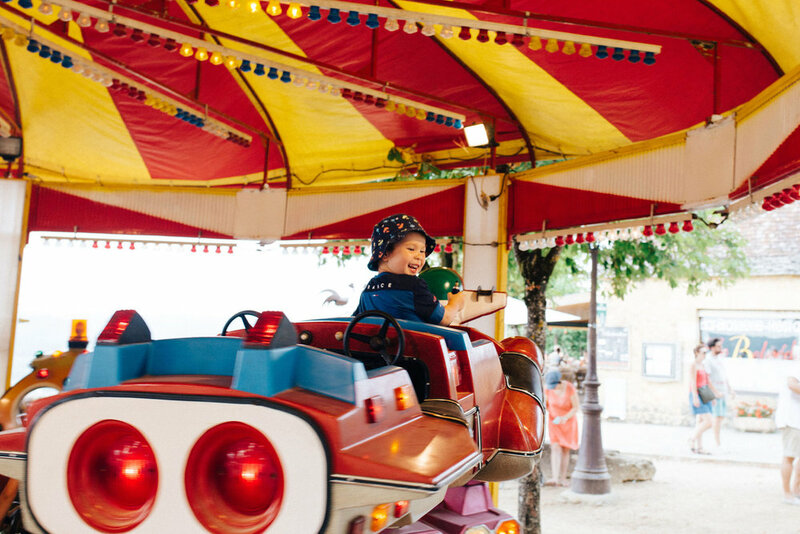 We went to the le Parc Le Bournat, a place where was recreated the old games and fun fair attractions of the early 1900s. Great for the kids. Some queuing but pretty big so there’s enough to keep everyone busy for several hours. Another great spot for a river dip is Limeuil, also named one of the ‘prettiest villages in France’. That’s where the rivers Dordogne and Vezere meet. We walked up the village for stunning views. I couldn’t get enough of the steep narrow streets full of continental charm. I love a castle, especially a good-old medieval castle like the Château de Castelnaud. At a top of a hill above the Dordogne valley. After watching a theatrical show with characters of medieval times and some live trebuchet action, we checked out the bastion tour with real-sized trebuchets (see photo). Heaven for kids. Some interesting facts and objects inside too. Totally worthwhile. 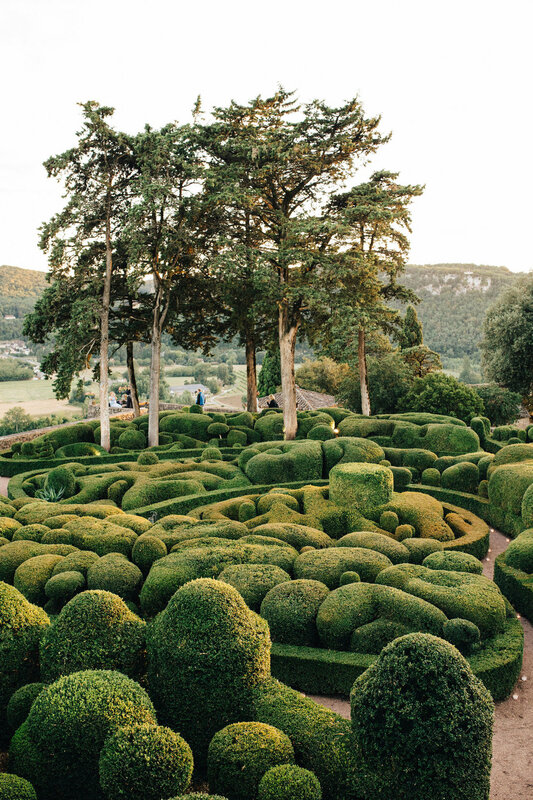 In the evening, we were lucky to see the ’Candle lights at Les Jardins de Marqueyssac’ - in the summer, once a week, they host an event in the perfectly designed gardens with candles spread throughout the gardens. We arrived around sunset with a gorgeous light spread across the valley. There was music bands in different areas of the gardens bringing a totally different vibe to the place. At the end, we saw fairies on stilts, beautiful with the evening lights. If you are in the area at that time of the year, don’t miss it, it feels so special and the children will love it as well. On holidays, I love visiting places. You have probably guessed by now that I’m not a resort/stay-by-the-pool-all-day type of person. I need to feel the place, discover, explore, learn about its history, choose my own food, eat local, stay a bit longer if we feel like it, leave a place if we don’t like it, watch people walking by, chat to people, etc… even at a small scale. 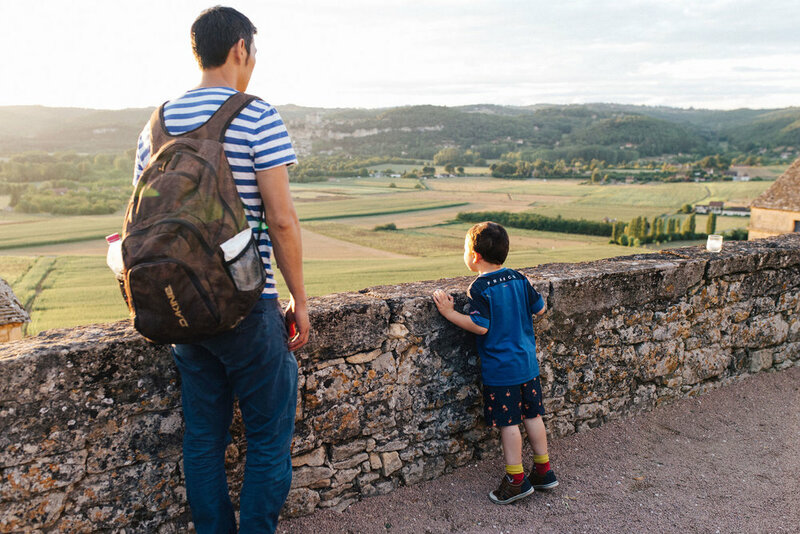 If you’re like me, you’ll love visiting the Dordogne region with your family. 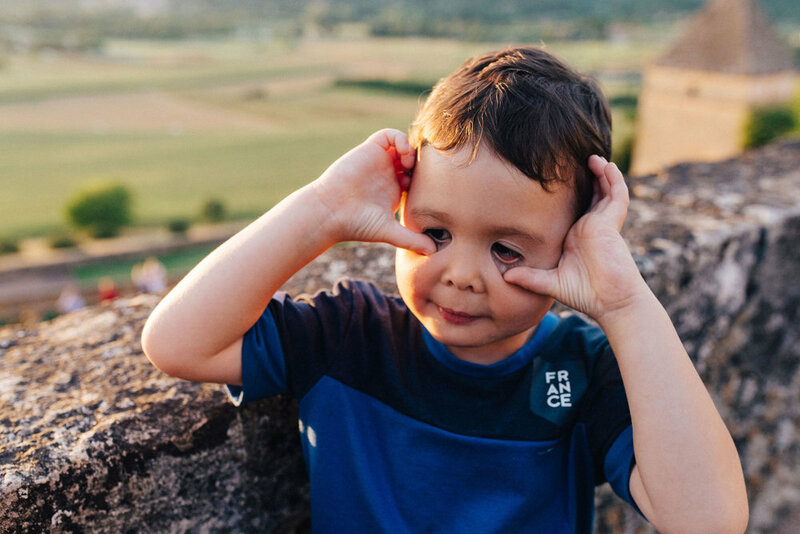 I didn’t take my big camera everywhere; sometimes, I just didn’t feel like it but I revived one of my old travelling traditions too by writing a holiday diary about everything we did during our time in France from the time we wake up till we got to bed. I added pictures, let my son make some drawings and here it is: our holiday in a notebook! It’s hard to keep up but it’s so rewarding. My boy loves flicking through the pictures and I relive the holiday through the words (and my bad hand-writing). It’s sometimes super mundane (what we ate, what time we got up…) but it’s full of our memories and that’s plenty for me. Feel free to drop me an email (hello@marionandyouphotography.com) if you have any questions while you’re planning your holidays in France. I’d be happy to help… if I can! 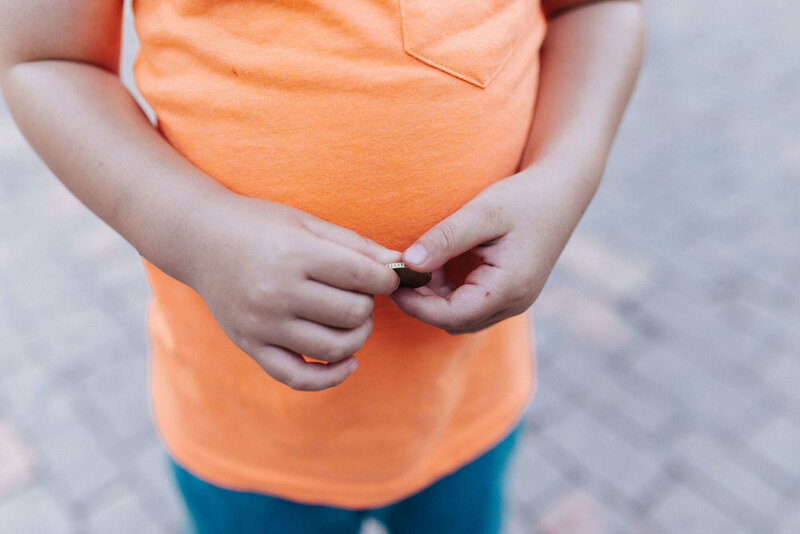 To book your own family photo session, get in touch and let me know what’s in your mind, I’d love to hear it.